Dow is playing a lead role in the formation of a new alliance of global companies to advance solutions that eliminate plastic waste in the environment, especially in the ocean. Dow is a founding member of the Alliance to End Plastic Waste (AEPW), a newly formed organization committing more than $1 billion with the goal of raising $1.5 billion over the next five years to develop and scale solutions that manage plastic waste and promote post-use solutions of plastic. 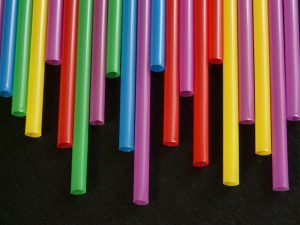 The Alliance, currently comprised of nearly 30 companies, will develop and bring to scale solutions that will minimize and manage plastic waste and promote solutions by transitioning to a circular economy for plastics. The Alliance membership represents global companies and organizations located throughout North and South America, Europe, Asia, Africa, and the Middle East. Dow is playing a lead role in the formation of a new alliance of global companies to advance solutions that eliminate plastic waste in the environment, especially in the ocean. Dow is a founding member of the Alliance to End Plastic Waste (AEPW), a newly formed organization committing more than..